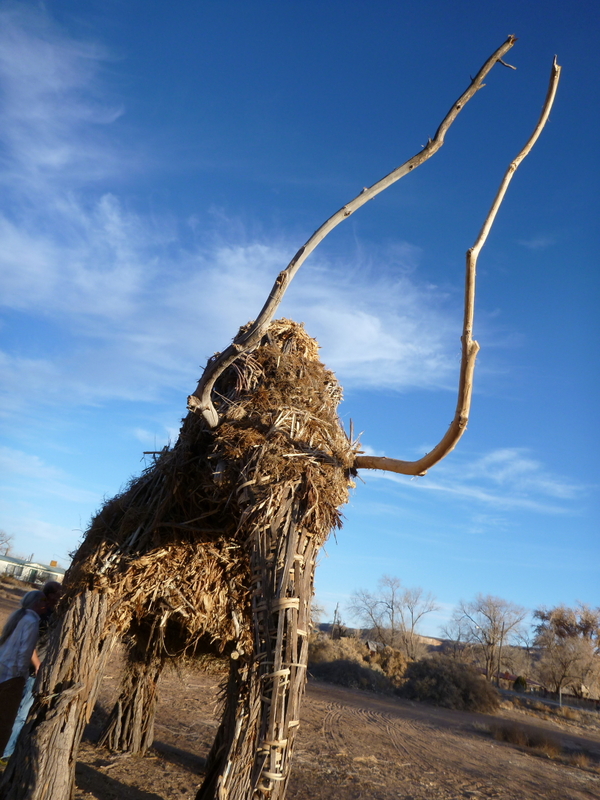 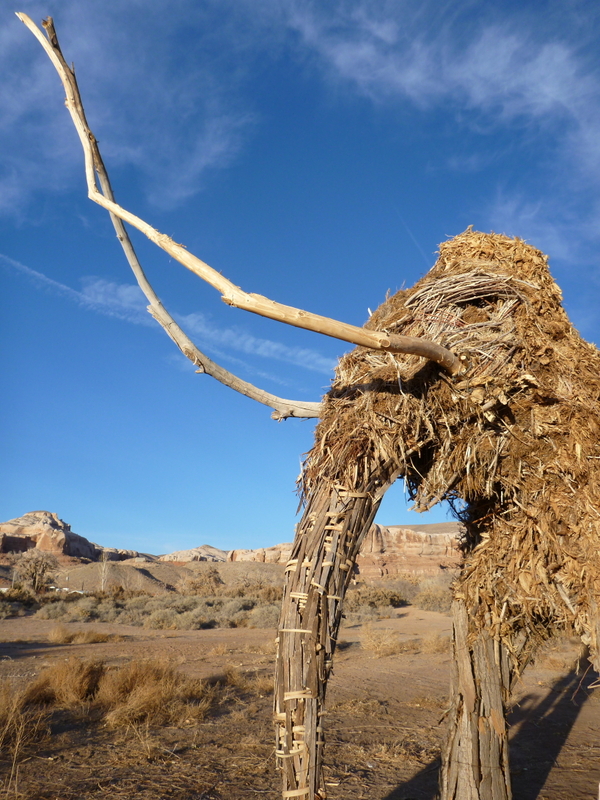 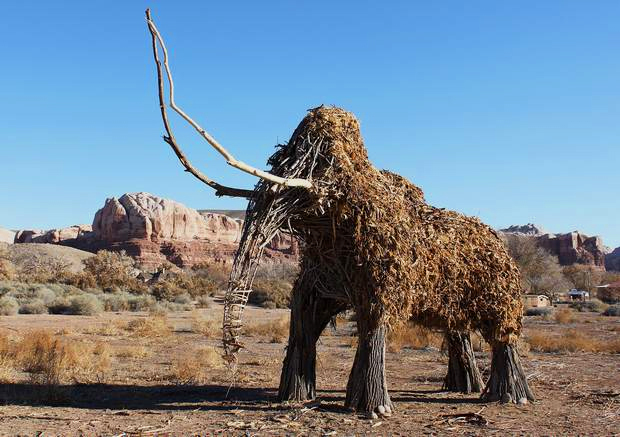 Bluff’s Annual Solstice Celebration is only a day away, so we thought we’d take a look back at some of the previous solstice sculptures from one of southeast Utah’s most unique events! 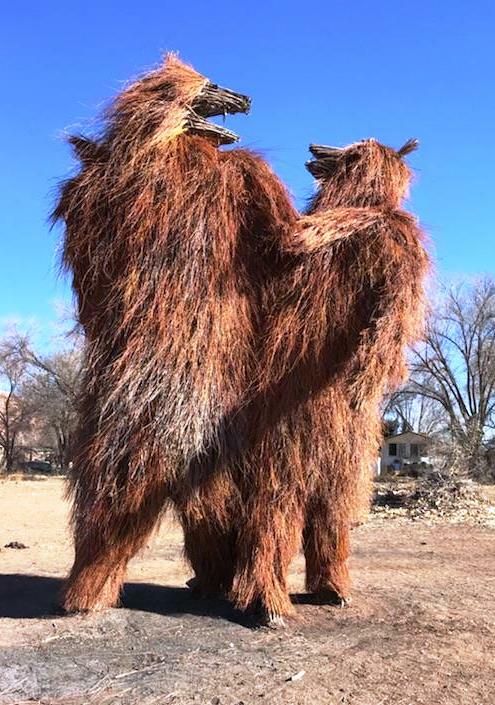 This year, local artist Joe Pachak has constructed two 15 foot- tall dancing bears in a posture from the Ute Bear Dance with guidance from local Ute flute musician, Aldean Ketchum. 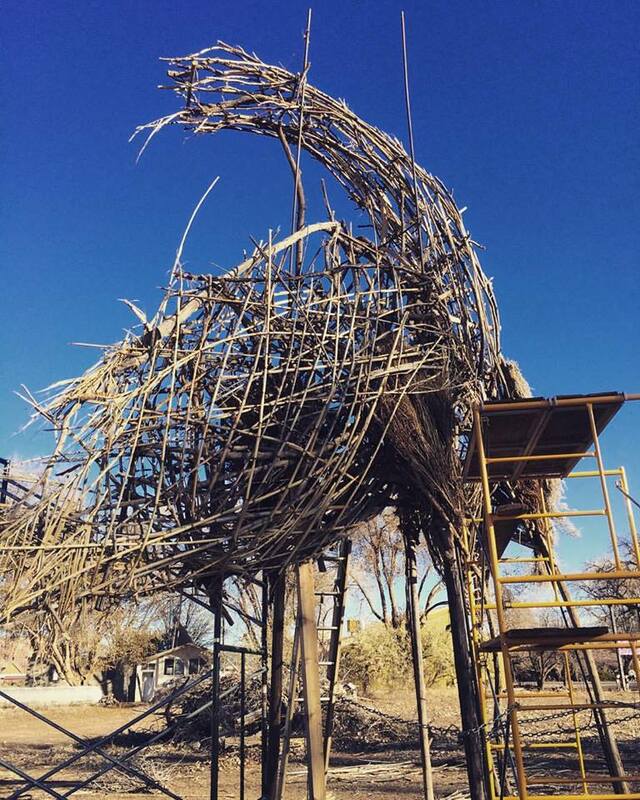 As always, Joe’s solstice sculpture is impermanent, and is scheduled to be set on fire on the night of Thursday, December 21st in celebration of the Winter Solstice. 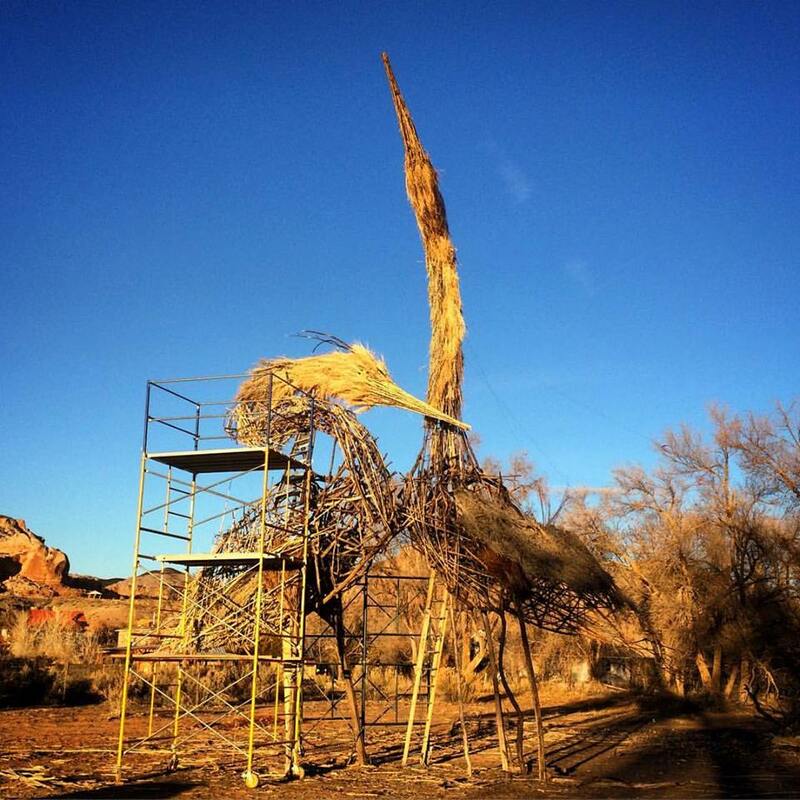 Anyone who has been to one of Bluff’s previous Solstice Celebrations can tell you that it’s an event unlike anything you’ve ever seen, and is definitely worth the drive! 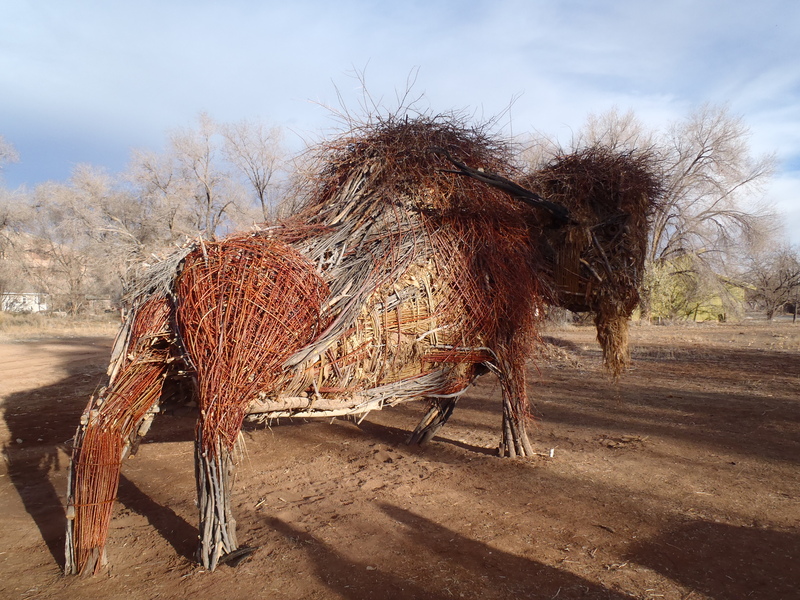 My favorite solstice sculpture was definitely the Paleo Bison constructed in 2014. 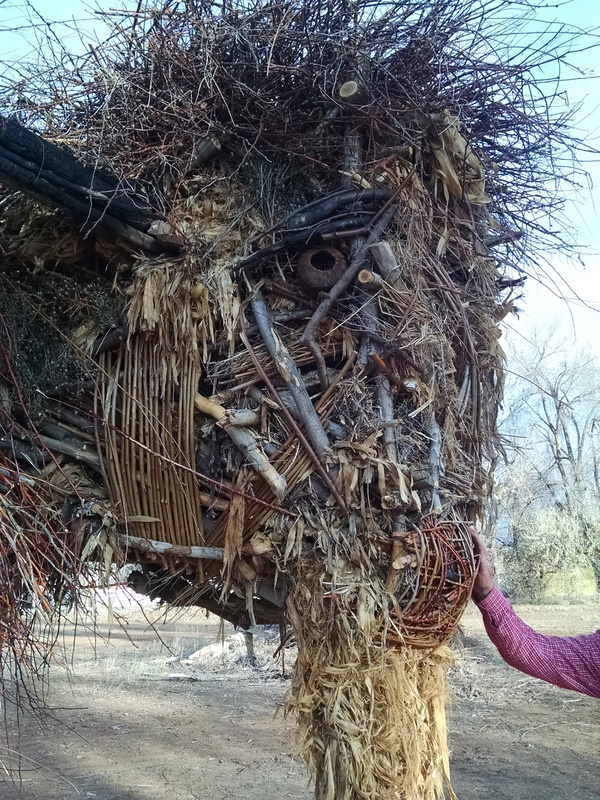 Look at the detail in the bison’s face! 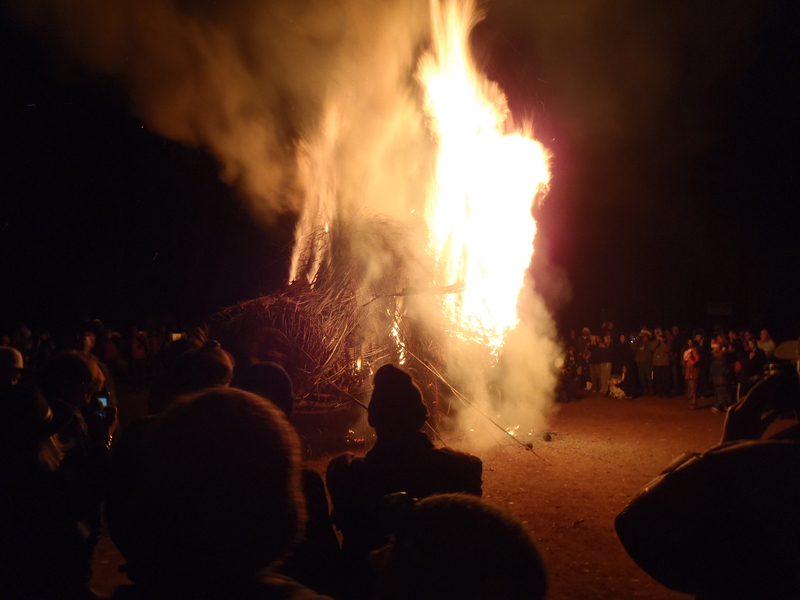 These sculptures are works of art, and as much as I love the Solstice Celebrations, it does make me a little sad to see them go up in flames! 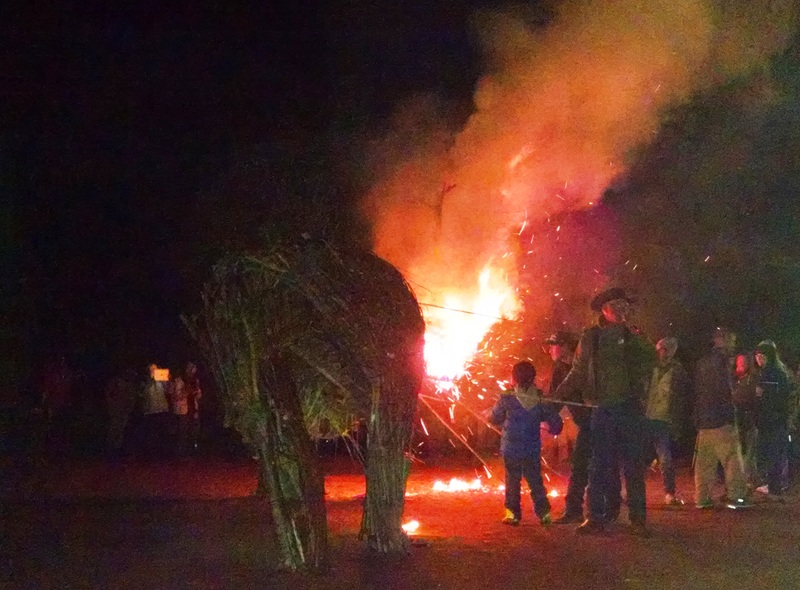 If you’re considering making the drive to Bluff for the Solstice Celebration tomorrow night- DO IT! 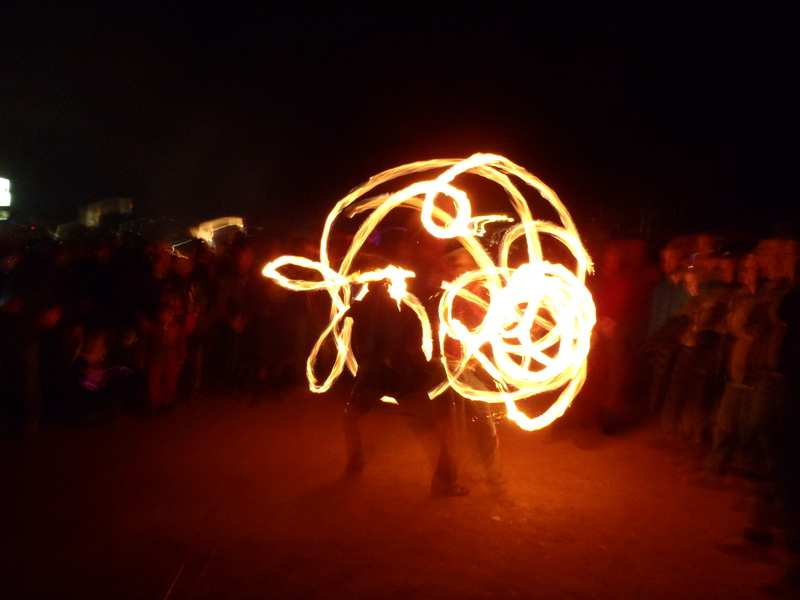 It’s sure to be the most memorable Winter Solstice you’ll ever experience!